AFRICANGLOBE – Ever had a friend who mistook Africa for a country instead of a continent? I had one of those and she was adamant that there were only six continents in the world, because Africa was a country. I blame her naïveté on the world maps that we all grew up with. They’re big-time liars — at least the maps that use the Mercator Projection (the cylindrical mapping style you see 99 percent of the time) are. Look at this map, which uses the Mercator Projection. 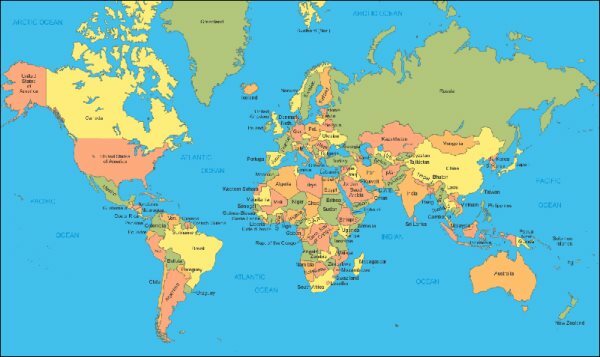 In it you can see that Africa (the second largest continent in the world) is about the same size as Greenland. But that’s a whole bunch of baloney. In reality, Africa is so, so much bigger than Greenland. 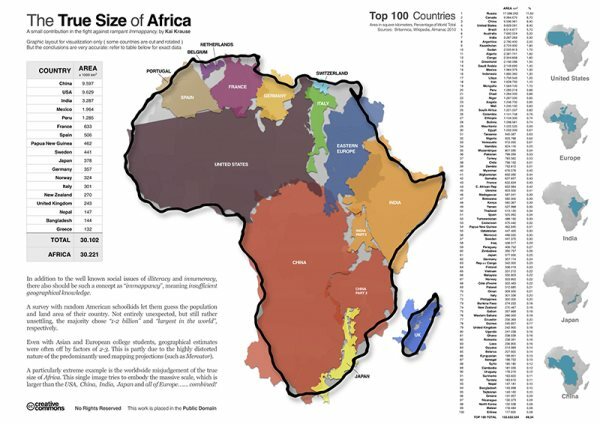 With an area of 11.67 million sq miles Africa is actually 14 times larger. But does the Mercator Projection show us that? Nope. They’d rather have their straight lines than an accurate representation of the world. Done with all the lies, computer graphic designer Kai Krause created an illustration that shows the sheer enormity of the African continent. So, behold: this is how big Africa really is. See how many other countries actually fit in the African outline? Now, when a friend tells you that Africa isn’t a continent, just show them this and let the map do all the talking.